The weekly banterings of the city and country pursuits of an English-Canadian gentleman in Vancouver and abroad. From gin and tonics to wine, travel, food, cooking, tech gear, essential kit, and the sartorial arts. design aesthetics and user friendliness. program the detector to function differently depending on the room you choose. Our installation was in our kitchen so I programmed the unit to allow for hand wave silencing using gestures and for the automatic night light when motion is detected at night. The unit itself contains a photoelectric smoke sensor, along with sensors for carbon monoxide, heat, humidity, ambient light, and ultrasound motion detectors. Voice commands and prompts are US accented female “Siri” which according to the Nest website gets the attention of sleeping children more than a piercing alarm. The voice can be programmed to speak in English, French, and Spanish. Along with voice prompts of early warnings of smoke or CO and loud alarms in the event of fire or warning ignores, the unit also displays its status with coloured LED rings. Blue=set-up and testing, green=safe, yellow=early warning and heads up of smoke/CO levels increasing, red=emergency and white=night path light. With the Protect wifi enabled any change of status causes a push to your smartphone for a heads up along with interconnectivity between units. 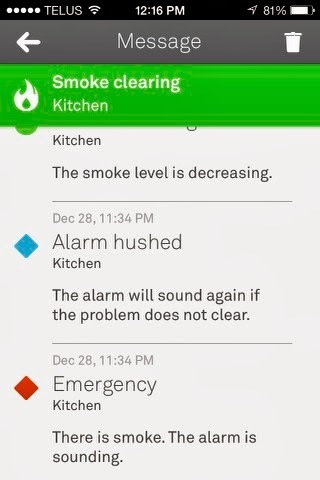 Smoke in the kitchen informs the detector in your bedroom or living room as to where the fire is located. In the event that you burn some toast or leave a candle smoldering a voice prompt will inform you and can be silenced just by waving at the unit using the built in NestWave sensor. 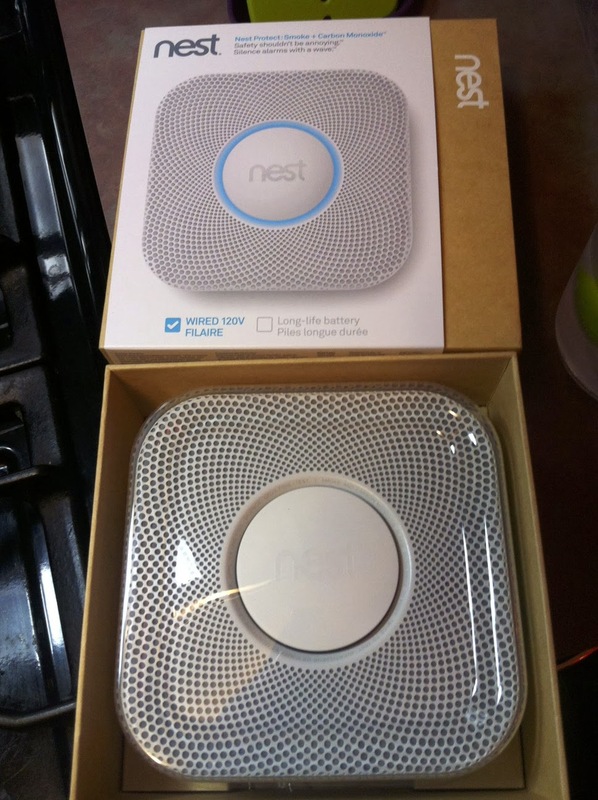 The Nest Protect is available in both black (on-line only) and white. In Canada retail pricing is $129 for either the wired or battery version. Debating the merits of photoelectric over ionisation units – the Nest works extremely well for us especially in close proximately to our gas range. A bit dear but considering the cost a decent smoke and CO detector and the possible life saving benefits I'd highly recommend the upgrade. Looking at the on-line reviews it appears that Nest Labs may have other future plans for this and their thermostat with its array of built-in sensors. Home automation looks exciting. Visit Stephen's profile on Pinterest.